ENTERBAY is proud to present the T-800 (Battle Damaged Edition) HD Masterpiece quarter scale figure from the movie Terminator 2: Judgment Day. 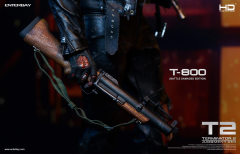 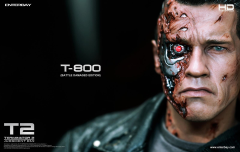 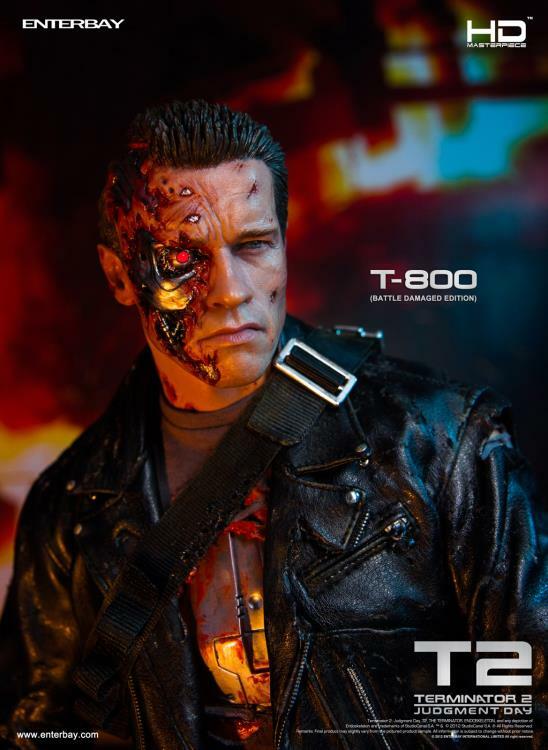 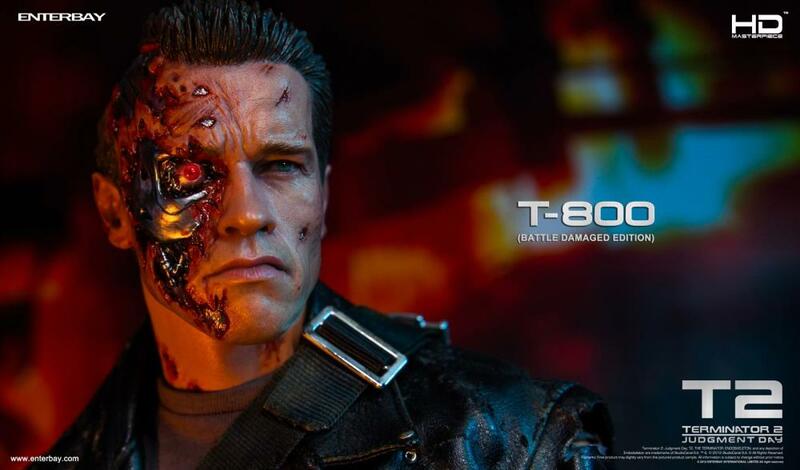 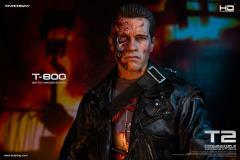 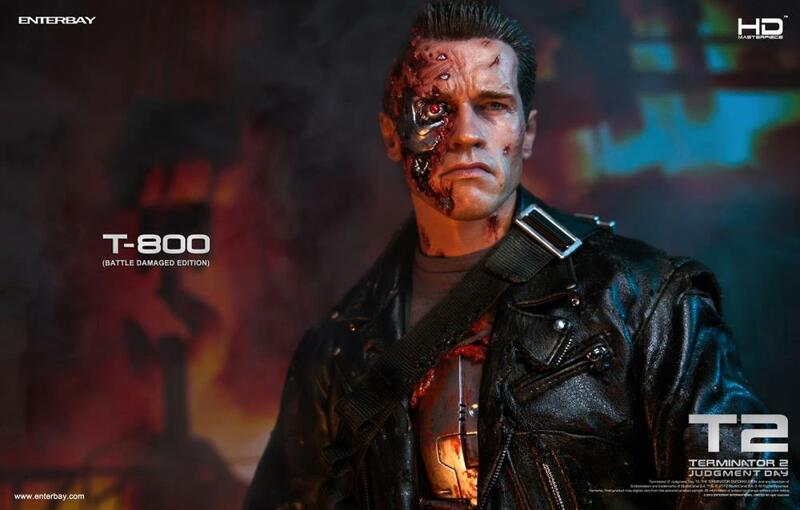 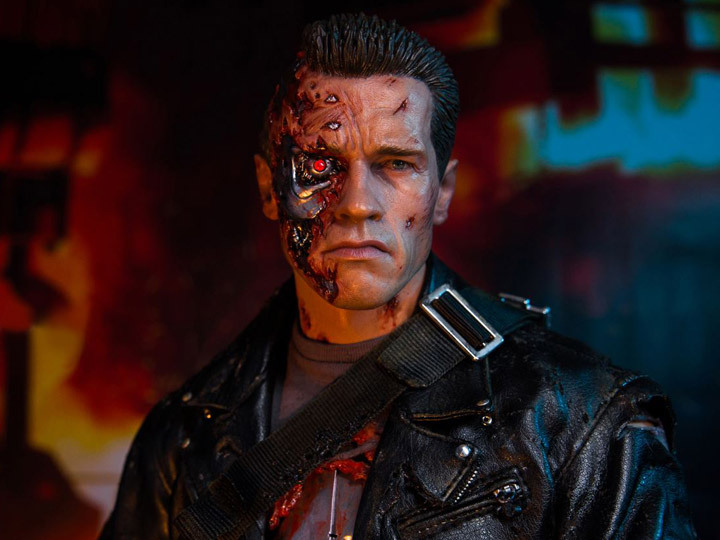 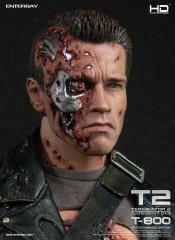 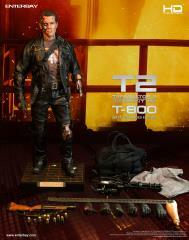 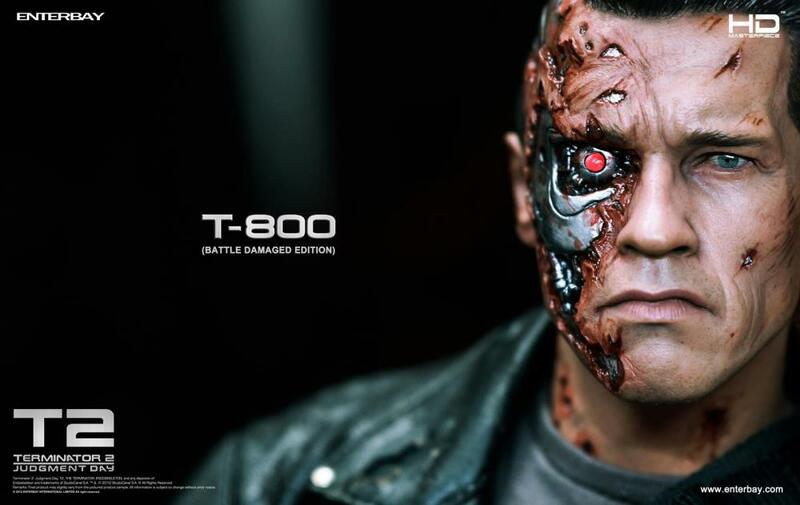 The T-800 collectible is created based on the battle damaged Arnold Schwarzenegger as T-800 in the movie, featuring newly developed head sculpts with lit-up LED eyeball, advanced HD masterpiece muscular body, movie accurate battle damaged costume, and other detailed weapons and accessories. The incredible authentic and highly detailed likeness of Arnold Schwarzenegger as battle damaged T-800 in the movie Terminator 2: Judgment Day is built on the HD-4 battle damaged ABS action body with more than 30 points of articulation and features battle damged chest and left knee. 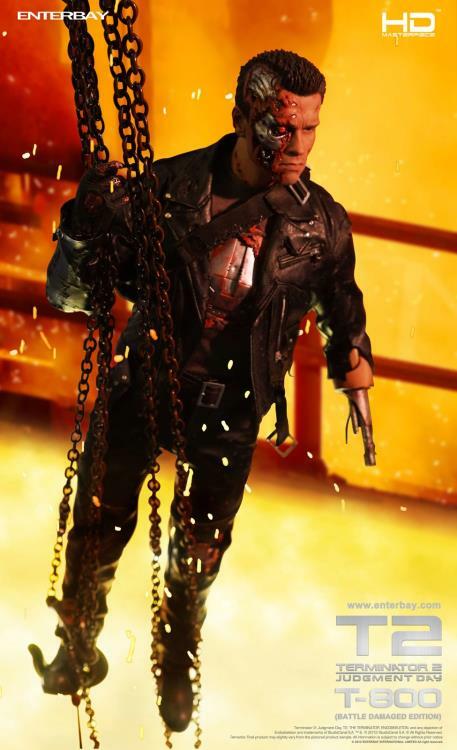 The interchangeable battle-damaged left forearm and 8 interchangeable gloved battle damaged hands allow for more display options. 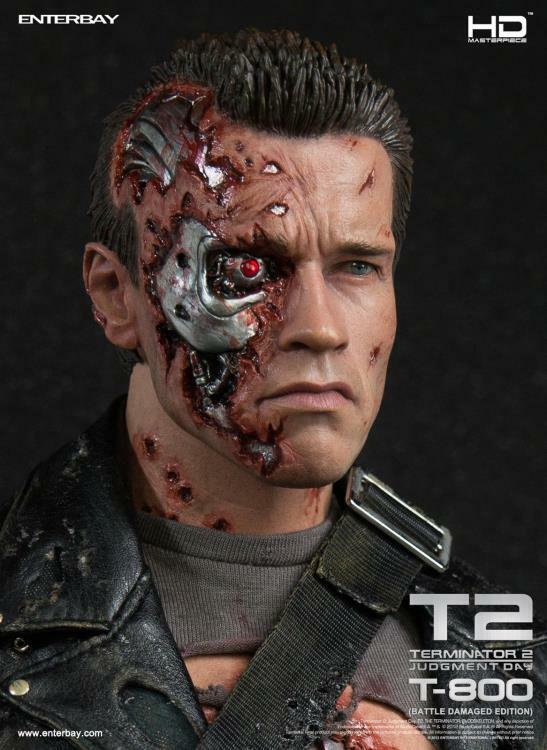 The head sculpt features a red LED light in the right eyeball. 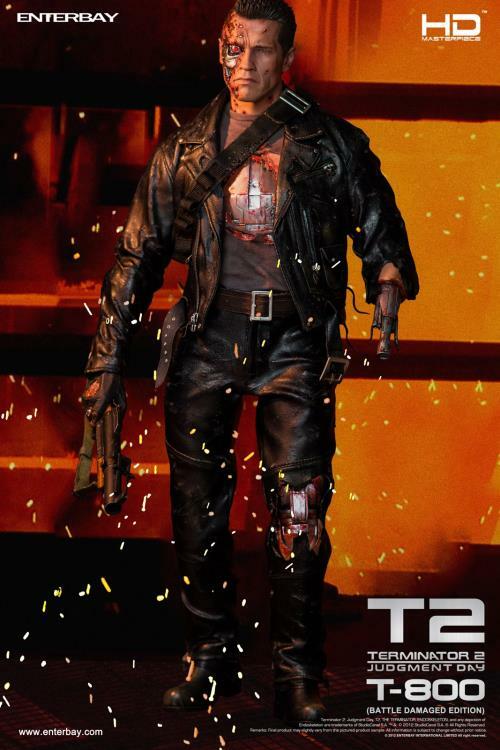 The classic battle damaged costume recreates the look of the film including the grey t-shirt (non-battle damaged). 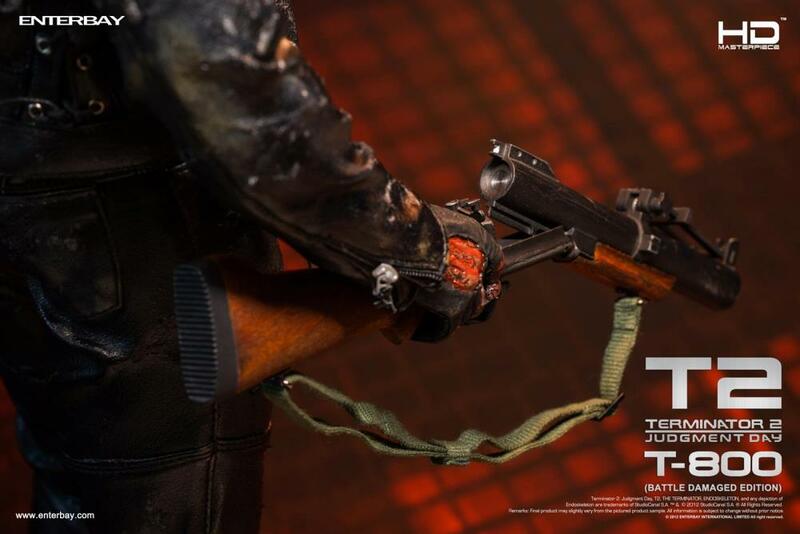 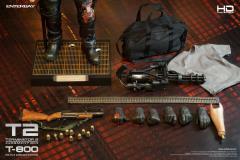 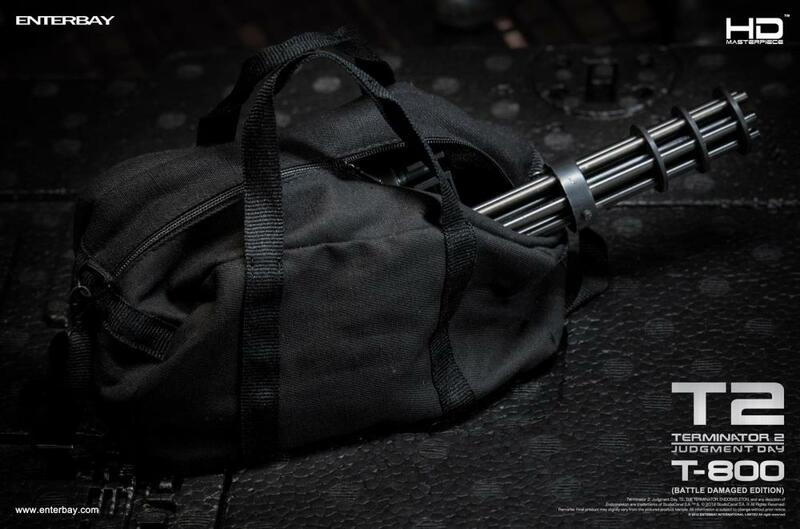 The black carry bag will hold the M134 Mini Gun, and the M79 grenades can be mounted on the grenade holster. 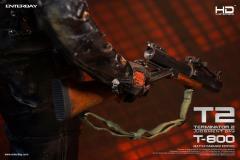 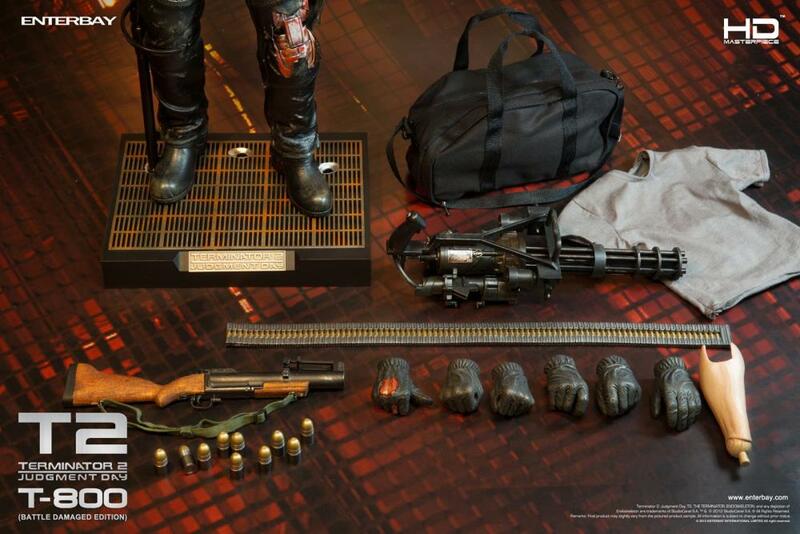 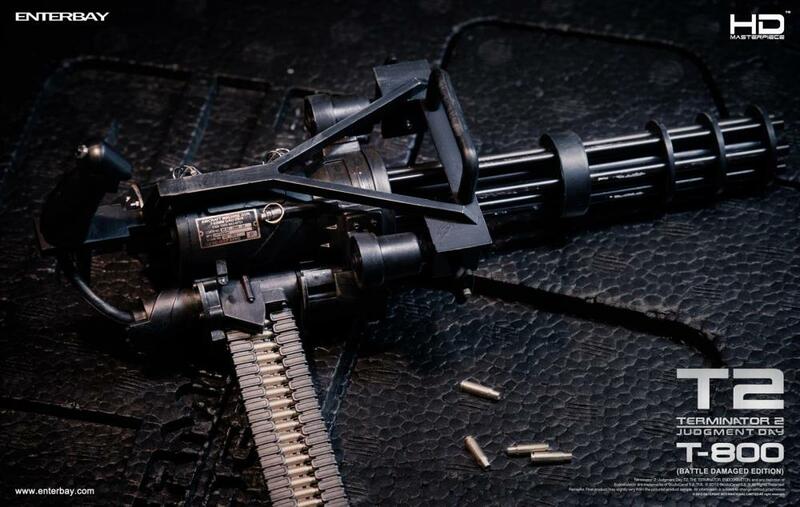 The Terminator's mighty weapons include the M79 grenade launcher, handheld M134 Mini Gun with bandoliers, 10 of the M79 grenades, a non-used M134 bullet (metal), 6 M134 bullet shells (metal); and a set of M134 bandoliers. 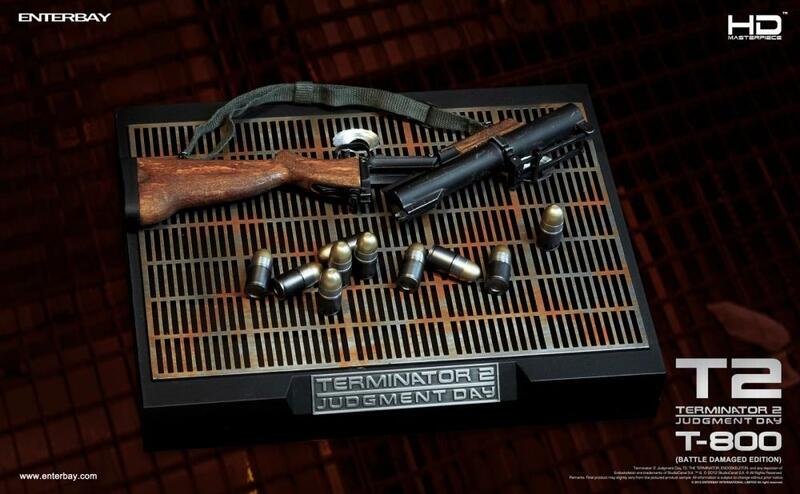 The M79 grenade launcher is partially made of wood and some parts were made of metal. 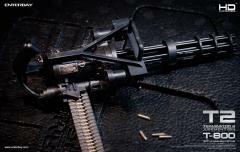 The M134 Mini Gun is made of both plastic and metal, and features a rotatable metal barrel. 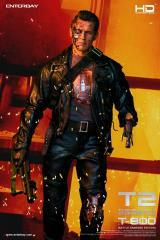 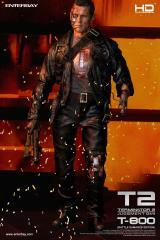 Display this impressive figure on the exclusive Terminator 2: Judgment Day figure stand.